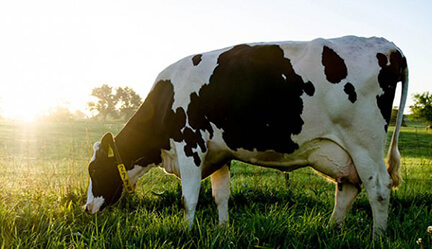 Ketosis is a metabolic disease which usually occurs in cows in early lactation. At this time the cow’s appetite is depressed after calving and energy intake cannot meet the increasing demand of the rising milk yield. This period of ‘negative energy balance’ is normal in all newly calved cows but it is the level at which this happens that is important. Some develop nervous signs including excess salivation, licking, agression etc.